TV does not have sound or image gets distored. However customer set it to "ON" with normal devices, TV might not have sound or proper picture. 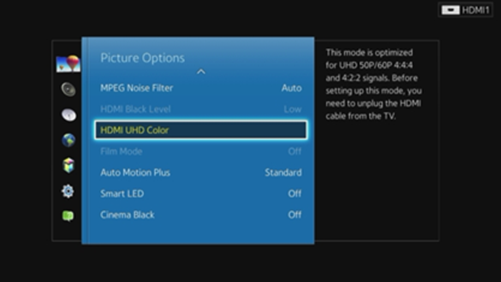 ■ How to change the settings of HDMI UHD color. 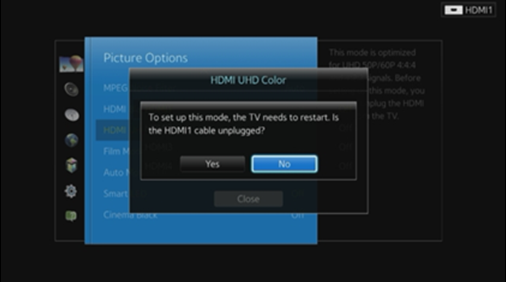 2) Select HDMI UHD Color and then change the option to "On"
3) Make sure to unplug the selected HDMI cable. 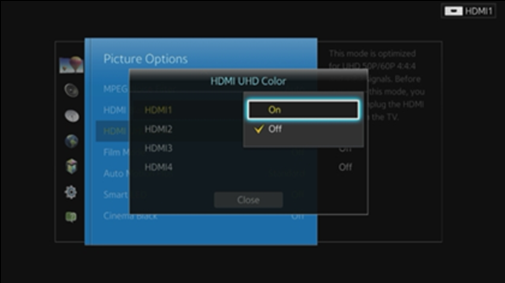 4) Then TV shows "HDMI UHD Color" on Info Banner. 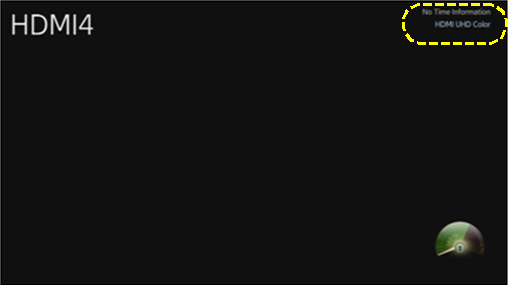 please change it to "Off"